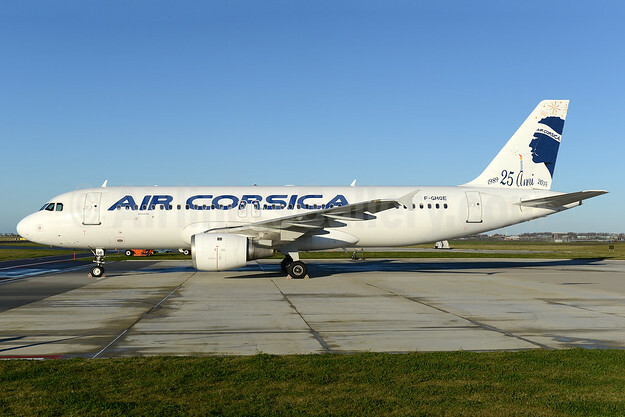 Air Corsica yesterday (July 3) added the Calvi – Charleroi (near Brussels) route. Below Copyright Photo: Air Corsica Airbus A320-211 F-GHQE (msn 115) (25 Anni – 1989-2014) AMS (Ton Jochems). Image: 933310. This entry was posted in Air Corsica and tagged 25 Anni - 1989-2014, Air Corsica, Airbus A320-211, F-GHQE, msn 115 on July 4, 2018 by Bruce Drum.